Artificial sweeteners are the rage because people think they can use all they want without gaining weight. However, studies show that these artificial sweeteners actually increase the appetite as well as the risk of metabolic syndrome and obesity. In addition to that, they come with a number of side effects. 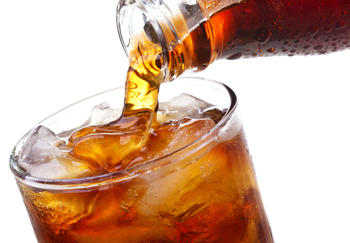 Let’s briefly discuss two of the most common artificial sweeteners: Splenda and Aspartame. Splenda (aka Sucralose) is the newer of the synthetic chemicals which is made from sugar and covalently-bound chloride. A 2009 study showed it is absorbed by fat because our body has no way of breaking down the covalent bond; therefore, the body attempts to store it in the least harmful place–-fat cells. It also reduced good intestinal bacteria by 50%! Since good gut bacteria are strongly linked to the immune system, you are setting yourself up for health issues by consuming Splenda. Among its other many side effects were decreased red blood cells, migraine headaches, heart palpitations, wheezing, and reduced sperm production. At higher doses, it caused brain lesions and spontaneous abortions in rabbits. One of the most dangerous products on the market is the sugar with Splenda that is being fed to kids! Aspartame (aka NutraSweet and recently renamed AminoSweet), has been around longer but it isn’t any safer. In fact, it was once listed by the Pentagon as an agent for chemical warfare! The FDA receives more complaints about aspartame than all other additives combined. Due to the fact that aspartame creates excitotoxicity (nerves fire excessively), most of the complaints are neurological–migraine headaches, mood disorders, and even hallucinations. Brain lesions have also been found in animals fed aspartame. In fact, I had a customer a few years ago who had been diagnosed with multiple sclerosis (with brain lesions) but when she got off the diet soda that contained aspartame, all of her symptoms went away. She was actually suffering from aspartame poisoning! So if you want to keep your weight down and your health up, do yourself a favor and avoid the artificial sweeteners. If you must have a soft drink occasionally, consume one such as Zevia that is sweetened with stevia (available here at Natur-Tyme). Also, be sure to avoid all the low-calorie foods that contain aspartame and sucralose! Instead, look for those sweetened with Xylitol and/or stevia or better yet, buy unsweetened and add only the amount that you really need.